Monitor works but the LC M0350 no working. If you’re not satisfied, neither are we. Bottom line, we want you happy! Onboard ATI Mach 64 graphics (512 KB or 1 MB RAM with expansion sockets). - 256 KB L2 cache. - Four 72-pin RAM slots, with four 4 MB sticks installed (16 MB total). Here is a 486 computer with the following specifications. 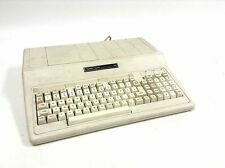 New ListingCommodore 128 Computer - C128 TESTED - MOS 6581 SID - EXTREMELY Clean! Commodore 128 Computer- C128 TESTED in 128 40 and 80 column modes as well as C64 mode. Has original IC's, including MOS 6581 SID sound chip. UNTESTED' Commodore 64, you should consider the following. 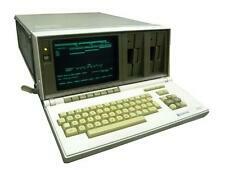 Radio Shack TRS-80 Model III Disk System Computer. Computer has been tested thoroughly. It and both floppy disks work well. See pictures for physical condition. Rana 1000 Drive. Atari 800XL. Atari Writer Program. AC Adapters for both. No guessing if it works, it works! You get everything you see. Computer works great! 5.25 floppy drive in unit recently cleaned and tested. Remove all the boards and disco'd the front panel. Plug the power cord into a variac and start it off at about 20V, while monitoring the 8v bus. I plugged it in and burnt it out. Other jobs. This is the 68k pizza box mac you want! Rare Apple IIGS Woz Edition Computer With 1MB Memory RAM Card Installed. Memory expansion card is part number 670-0025-A. This computer worked perfectly the last time I used it, but it’s been on a shelf for a few years now so it’s time to give it a new home. Will be packed with lots of care and tons of new bubble wrap. I have sent vintage Macs all over the world and everything always showed up perfect! I may ship your package with UPS or USPS at my discretion. Please get in touch if you strongly prefer one to the other. Sold as is due to age and lack of other equipment to test with, so all sales are final! Vintage Commodore 128 Personal Computer +Power Supply & Suncom Joystick Works! This is the one that connects to the laserdisc player. The computer powers on and asks to insert system disc(pic #11)but no further testing was done. Apple II Computer with language card. Apple II reference manual, basic programming reference manual and Apple Soft tutorial books included. Unit appears to be working well. It powers on. However, I no longer have any Apple Drives to test it further. Logitech Scanman with AC Power Adapter. Sharp Expert Pad Pi-7000 New Sealed Apple MessagePad Clone NEWTON COLLECTABLE PDA. Looks brand new in box I put batteries in it to make sure it was functioning. First screen up I took a picture of the prompts to set up the stylus. I did not test further to ensure it had not been used. The only issues I see are the stylus in the pad is cracked and the rubber feet on the tablet itself have deteriorated in the original plastic bag. ( I did not clean them up but left them as is ). Includes original box and all packaging, screen sheet, stylus in pad as well as a extra still taped in its original bag, new batteries, all original paperwork and manuals. Quick start guide has damage no idea how or why with everything else appearing unused. This listing is for a Packard Bell Platinum Supreme 1850 desktop with 40mb of ram, a Pentium MMX 233mhz CPU, a 40GB hdd, and Windows 98. The desktop works great, it is missing a plastic panel for a 5.25 bay device and is missing the CD Audio to sound card cable. Up for sale is a reproduction Altair 8800 CPU rev.1 board. Resistor 41 and 42 values are different than original for clock tuning purposes. This printer has never been used and would make the perfect gift for the collector that wants everything just pristine! These monitors have been tested for full functionalities, and are R2 ready for reuse. These are the Apple G4 M7768 models. I found this old school Commodore 64 in a room in an old house that had been closed up for many years ! Still in its clean looking box / power adaper /video cord.all you see in photos. This auction is for a vintage Commodore 64 personal computer in box with power cord. I plugged the power cord in and the keyboard light comes on , but other than that I do not know how to test. Appears to be in good cosmetic condition. Outer box does have stains and wear. Please see all photos and ask relevant questions before bidding. Payment requested within three days of auction end. Thanks for your consideration. Not working, an excellent showroom piece, immaculate for viewing. The Keyboard has UV yellowing on the front edge as does the spacebar. The other three are more black. They look good and aren't yellow, they're just a little different and I've no clue why that is the case. This unit originally caught my eye because of how clean it is. For being ~40 years old, the computer itself is cleaner than my current PCs and Macs! Keyboard is clean, the joystick appears new, unused. Atari 1040STE. Keyboard – excellent condition. To my knowledge everything works. TOS 2.06 USA. 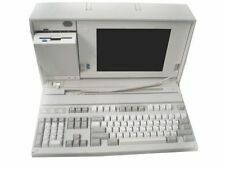 Texas Instruments TI-99/4A Home Computer With Box & Accessories. Shipped with USPS Priority Mail. I plugged it in and the light turned on. So I assume it works. That is the only way I know/ am able to test it. Comes with everything you see. Overall very clean condition. Any questions please ask! Commodore 64 disk drive 1541, excellent cosmetic condition W/ User's Guide . Shipped with Standard Shipping. The computer and components have been tested. Item's Monitor has been burned with text that appears behind the top few lines. As you can see, this unit still has the clear power book cover, and I re-created a classic insert to go inside! Functionally, the unit works perfectly, everything has been tested, including the CD Drive. This one is exactly 1k byte in size and includes the diode array on the board. It is in excellent condition with no broken wires and no broken cores. Vintage Mint Working Apple IIe A2S2064 Home Computer NICE. In absolutely brilliant working condition. Keyboard is pristine. Feel free to ask any questions. Good luck and happy bidding. IMac OS9 install. 400MHz PowerPC G3 Processor. RARE Purple Grape! Fully working and ready to go with a fresh OS 9 install on cleaned orig 10GB hard drive. Adobe Page Mill. World Book (2 disks). Commodore 64 C Computer - Fully tested. - case and keyboard are in excellent condition. There is a zip drive not tested not connected. 4 PCI, 2 ISA, 2 Serial, 1 parallel, 2 USB 1.0. Front Video and Audio connections are NOT fully functional. Power button solid. Speaker works. Powers on & the "?". Mark is on the screen, yet i can't test it any further. Just let us know. NEW 12 Ft. S-Video Cable. This computer provides excellent picture quality when using either S-Video or RCA connections. This computer is in excellent working condition. You must use either S-Video connections or RCA connections (Channel 3/4 output does not work). The box includes the original manuals though it is in rough condition. The computer has been tested to power on though I do not have a screen or any ither accessories to test it with. I'm including a box of 25~50 floppys though I am unsure what is on them. External Gotek. 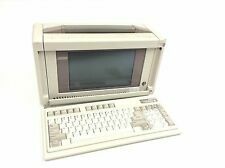 For sale Amiga 500 Amiga Has chipped top cover under keyboard see picture. Sale is final - as is. Original floppy – working.